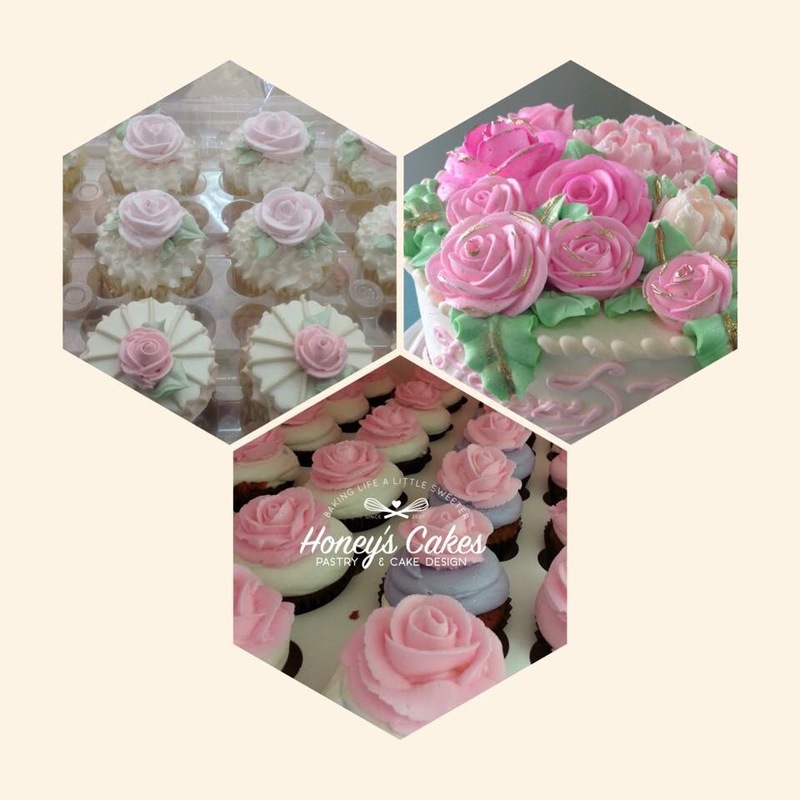 Learn to pipe buttercream Roses, Rose buds and Garden Roses with tips and tricks from pastry chef Nancy Cortez, Owner and head decorator of Honey’s Cakes. Flowers will be arranged on 6 cupcakes provided for you along with buttercream and supplies. Each student will receive a Rose nail and decorating tips and bags to keep. Tuition is $65 per person. Max of 8 students. A $30 Non-Refundable Deposit is required to reserve your spot in the class. Payments accepted in person, PayPal or by phone. Balance is due at or before class date. 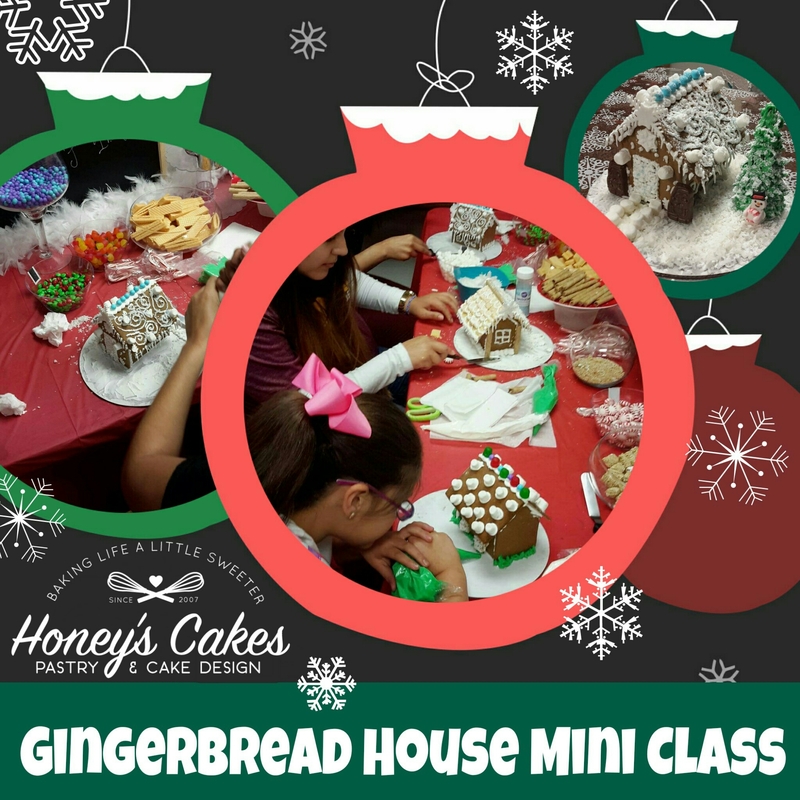 Join us at Honey’s Cakes for our annual Gingerbread House Class! 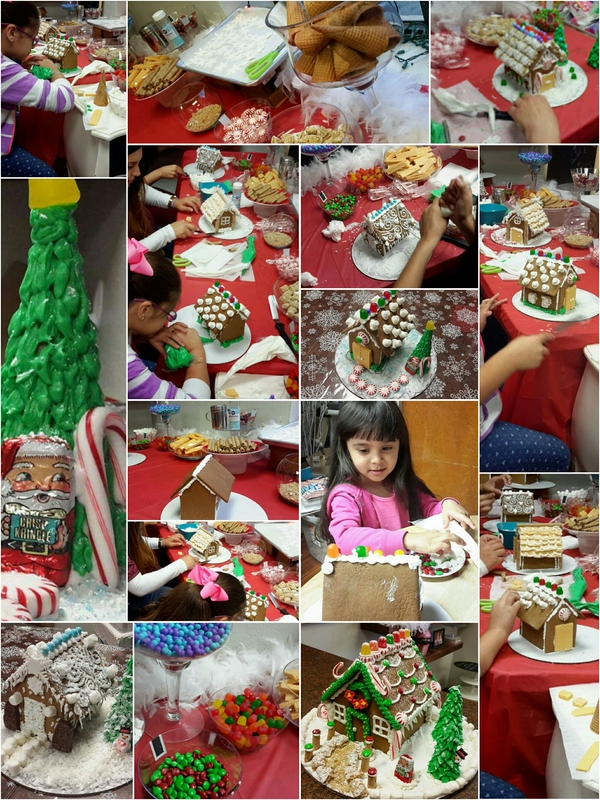 Make holiday memories with none of the fuss of baking or clean-up; fun for any age. 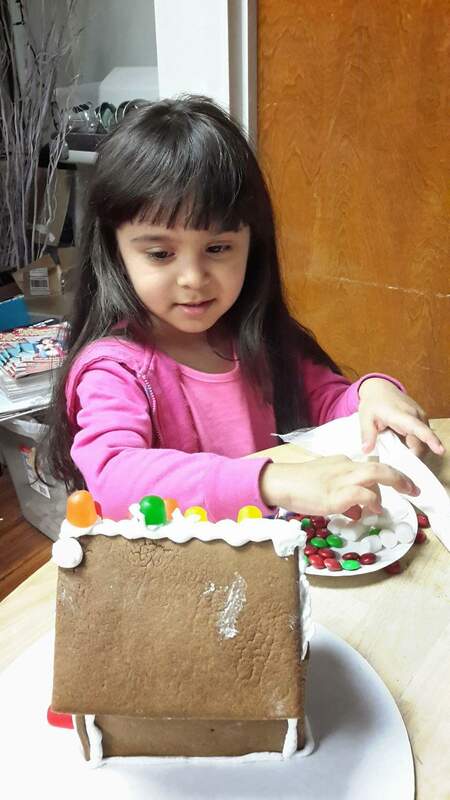 Gingerbread houses will be fully assembled and will include a Christmas tree ice cream cone how to. Each house per 1 to 2 people is $20. Add an additional person for $5. All candys, decorations and icings will be provided. Help or decorating assistance by our decorators will also be available in addition to the how-tos. 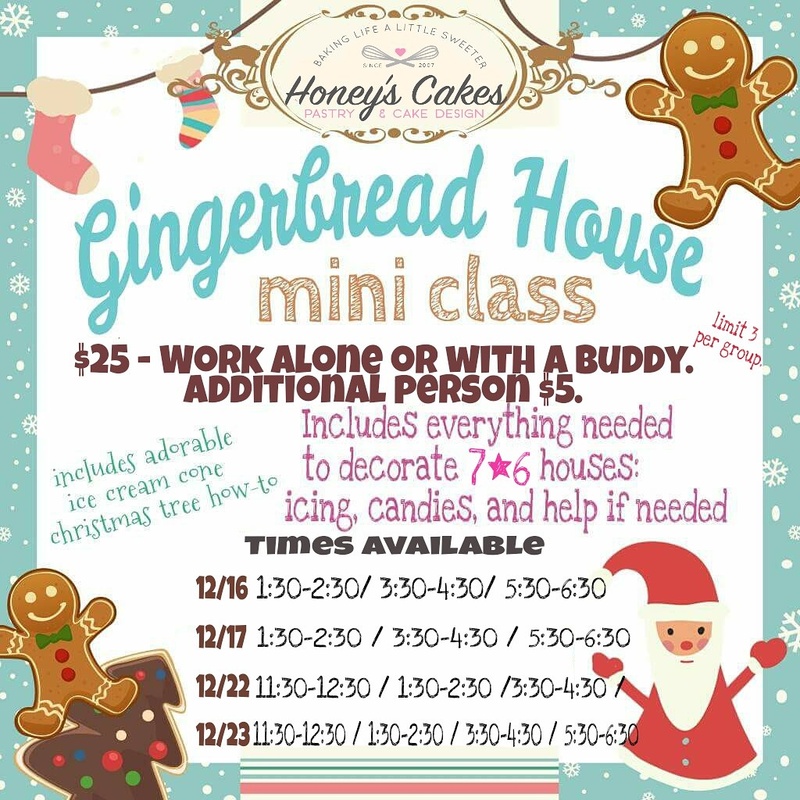 A box will be provided to take your awesome little gingerbread house home! Only a limited amount of slots available per hour. All reservations are Non-Refundable & Non-Transferable. Call or message to reserve your time slot or for more info. 956-618-3548. Pre-pay to reserve by phone or stop by in person.